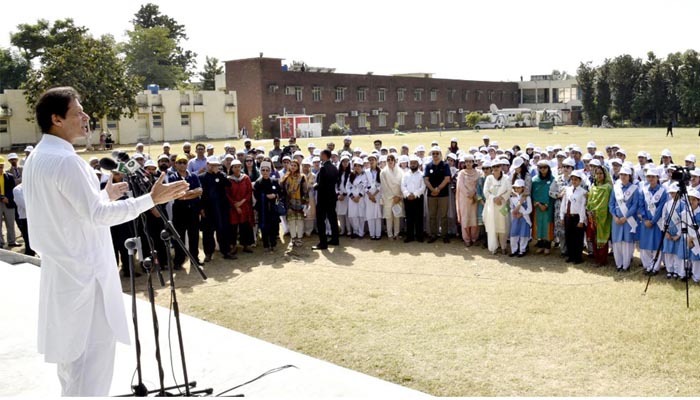 ISLAMABAD: Prime Minister Imran Khan has called on the nation especially youth and children to take part in his government’s newly-launched 'Clean Green Pakistan' drive. The prime minister took to Twitter on Saturday to unveil a four-pronged strategy for the next five years to make Pakistan green and clean through a nationwide plantation drive. “I want all our nation to be involved especially youth and children to lead from the front & change people’s mindset,” he said. “According to our Holy Prophet PBUH cleanliness is a religious duty for us. Let us transform our country into a #CleanGreenPakistan,” h said.